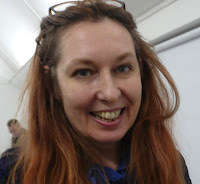 Michele Carragher came to talk to us on Monday 18 March 2019. 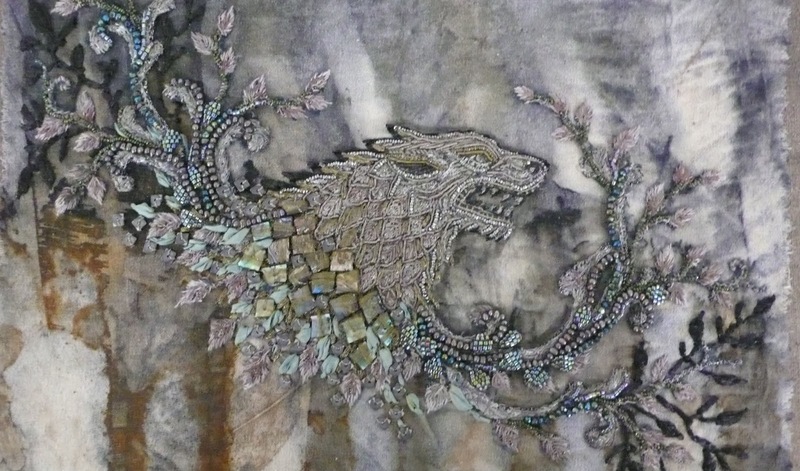 She is a hand embroiderer working in the costume department for film and TV. She was encouraged to sew as a child, designing outfits for her dolls and later went on to study at the London College of Fashion. 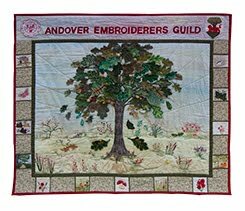 Her love of nature and fantasy helped her to develop design skills and her course included millinery, knitting and embroidery. 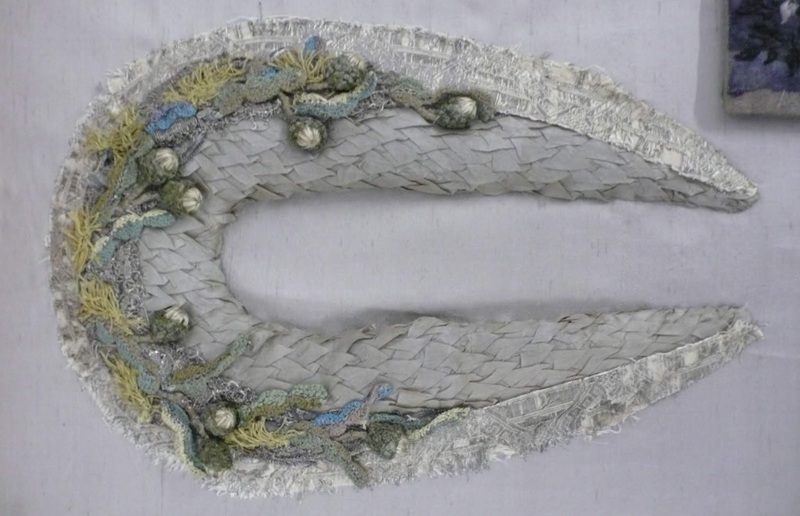 She began her working life in textile conservation and learned to 'loose stitch' rather than use a frame, because of the fragility of the materials. She started to work on costume design with friends, who were making an amateur film and then became a costume assistant to Mike O'Neill, who became her mentor. With him, she worked on many productions including Our Mutual Friend and Elizabeth I, starring Helen Mirren. 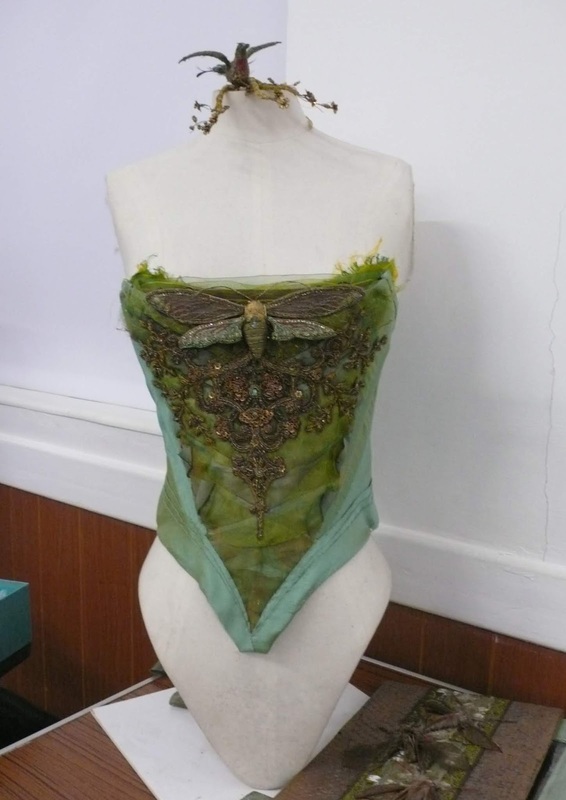 Michele focused her skills on creating the decoration and embellishment for Helen Mirren's costumes. When starting a new project, Michele reads the script first then starts discussing ideas. She researches designs by looking at historical paintings for inspiration. 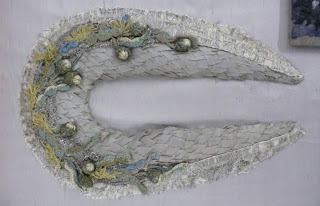 She will then source fabrics, beads and jewels to creatively interpret her research. From her sketches she creates sets of samples. 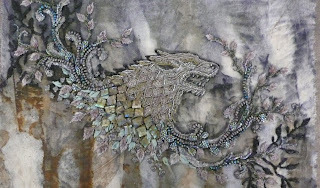 Michele has worked with Michele Clapton on the costumes for Game of Thrones, creating fantastical embroideries for many characters, including the collars for the Stark family. 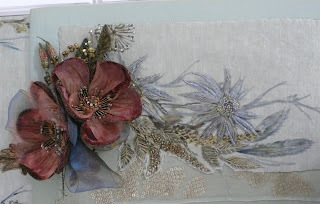 She often has to make 'doubles' of her work as sometimes embroideries can be damaged during filming and new costumes need to be created. She also has to face the fact that sometimes her embroideries do not appear in the finished film, due to editing. Her other credits include Prince of Persia, Assassins Creed, Queen of the Desert, Ali and Nino, Peaky Blinders, Virtuoso and The Crown. She finds her work creatively rewarding and particularly enjoys the opportunity to produce 3D stump work. Thank you Michele for a very enjoyable evening. It was fascinating to learn about your work and to see your wonderful creations.